Rockhampton flies under the radar as a tourist or holiday spot. Most Australians know very little about the city, despite that it’s one of the largest in the state. And it’s often the visitors on corporate trips who are the most pleasantly surprised by what it has to offer, returning for pleasure on their next holiday. But the secret’s slowly getting out, and Rockhampton is growing in appeal as a tourist destination as more and more holidaymakers are attracted northwards by its beauty and cultural heritage. If you’ve never considered visiting Rockhampton, you should: it’s an unassuming destination for a dream holiday, and you’ll be enamoured by its amazing offerings. 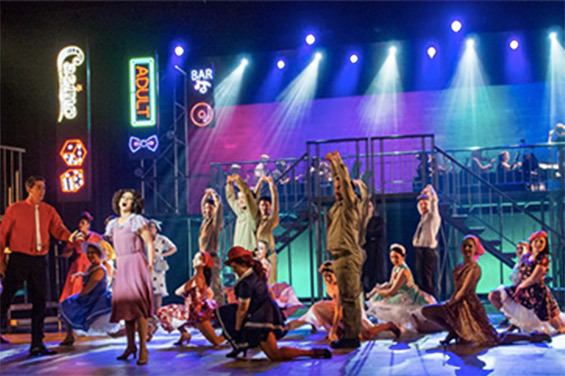 Many people are surprised to discover that Rockhampton is pivotal in Central Queensland’s performing arts industry, and home to one of the most highly regarded stages in the state. The Pilbeam Theatre has a reputation as one of the finest theatres in regional Queensland, and it’s known as much for its elegant facilities as it is for bringing culture and entertainment to the far reaches of the state. With comfortable seating for around 1000 patrons, and equipped with a wine bar and confectionary kiosk, it hosts everything from big-name rock acts and musical theatre productions to the charming offerings of community-based entertainers. Whether you want to see a local production of Chicago or Swan Lake, or you’re after tickets to the big bands on tour, you’ll find something it on at the Pilbeam—and with CBD Luxury Accommodation just across the road, there’s no need to worry about transport. If you’re headed to Rockhampton, you absolutely must experience the beauty and culture of the Rockhampton Art Gallery. Established in 1967, the gallery has grown to becomes one of the most important in regional Australia, housing an impressive range of works by respected artists including Arthur Boyd, Sidney Nolan, James Gleeson and Jeffrey Smart. The gallery is renowned for its collection of mid-twentieth century Australian paintings, but it also boasts an eclectic collection of more than 1700 objects including sporting memorabilia from tennis champion Rod Laver, Australian art from the 1860s to the present day, a special collection of central Queensland art and artefacts, and an impressive collection of British and Japanese art. 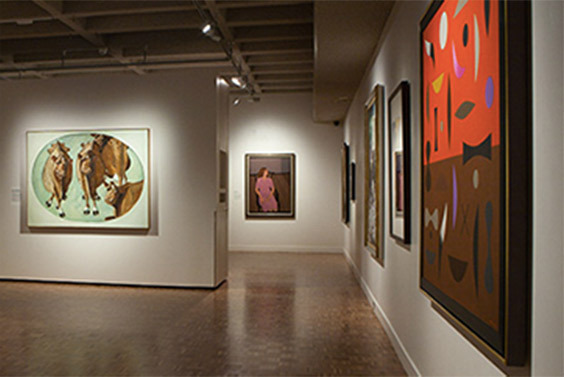 The gallery is known for its individuality & unique character, & serves thousands of visitors every year with many impressive exhibitions. Its history is just as remarkable as its collections, making it well worth a visit. Even if you’re travelling on a budget, you can still have a rich holiday experience in Rockhampton. The Rockhampton Zoo is home to more than 70 species of animals, and entry is completely free. The Zoo specialises in native Australian fauna, including dingoes, kangaroos, and cassowaries, but it’s also home a range of other exotic species like macaws and chimpanzees. As a centre for education, research, and conservation, the zoo is involved with a number of different management plans and associations—including the Wombat Research Centre and the Australasian Species Management Program—so any contributions you make directly help Australia’s natural environment. Rockhampton Zoo also hosts a range of other activities, including feeding time shows and educational tours, at little or no cost, making it a cheap and relaxing day out. 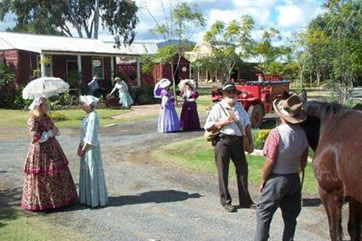 Featuring original and reproduction buildings, as well as memorabilia and artefacts portraying life in the region from the 1850s to the 1950s, Rockhampton Heritage Village is an essential stop for all travellers. The village features a school, a wagon works, a fire station, a timber cutters camp, a woolshed, cottages, and a printing works. For vintage enthusiasts, the village is also home to an impressive array of timepieces in the Hall of Clocks, an extensive display of dolls and a noteworthy collection of vintage vehicles. The village is a truly striking step back in time: all the buildings were constructed onsite from photographs of original buildings in Rockhampton around the turn of the century, using the same manual and artisanal techniques for real authenticity. 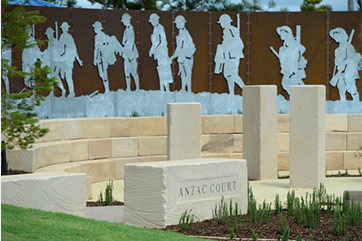 Rockhampton is rich in both history and beauty, and this war memorial boardwalk is no exception. Dedicated to the memory of the original ANZACs who fought and died in WWI, the 175 metre long boardwalk overlooks the Keppel Bay group of Islands from the southern end of the great barrier reef. The gateway and orientation gallery contain interpretive works telling the stories of how the war began, the story of Gallipoli, the legend of ANZAC, the details of the Gallipoli campaign, the Somme, Fromelle, the Lone Pine battle and many more of these extraordinary campaigns. Honouring local and international war veterans with breathtaking natural scenery, the boardwalk is a must-see for historical buffs visiting Rockhampton. 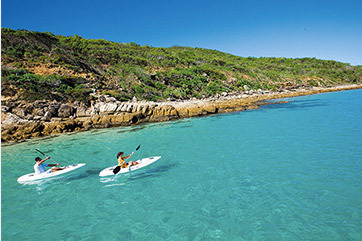 If you’re looking for a romantic and relaxing getaway, there’s no better place to visit than Great Keppel Island. Get some sun and surf in this island paradise, where the ‘squeaky-clean’ white sand flows between your toes and the crystal-clear ocean sparkles before your eyes. The largest island in the Keppel Group, Great Keppel is situated just north of the Tropic of Capricorn on the heritage-listed Great Barrier Reef. 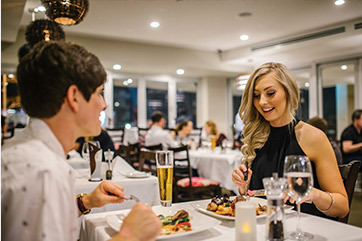 The island features a relaxed atmosphere and the pristine natural scenery that isn’t usually so easily accessible—ferries depart every day to Great Keppel Island from Keppel Bay Marina, so it’s only a skip and a jump from the Rockhampton CBD. If you’re looking to get back in touch with nature on your next Queensland holiday, you must consider exploring the scenic backdrop to Rockhampton—Mount Archer National Park. Mount Archer is home to many native Australian bird and animal species including rock wallabies and glossy black cockatoos. You’ll find a number of walking tracks perfect for enjoying a relaxing stroll through the melodic sounds and breathtaking views of Australian open forest and woodland; but for more energetic visitors looking to burn off their holiday meals, the scenic and vigorous Zamia Walk provides a 5-hour difficult-grade trip. Mount Archer National Park also caters to visitors looking for a thrill, with a number of rock climbing routes, and some difficult tracks serving as the perfect challenge for uphill runners and cyclists. If you’re looking to get back to nature on your trip to Rockhampton, check out the Capricorn Caves. 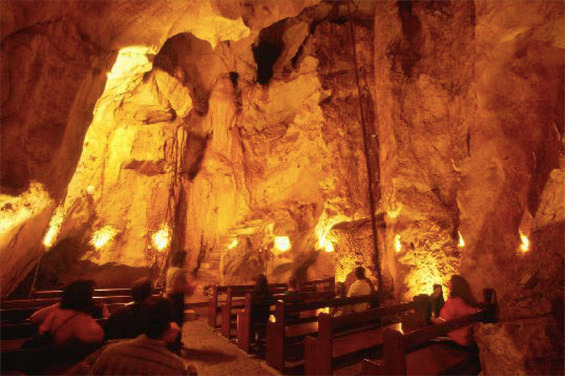 You can take a gentle 1 km tour through the water-formed passageways of the caves, with your pathway lit by candlight and fairy lights. With an adventure option at the end for the brave hearted, and the breathtaking Cathedral Chamber—with such incredible acoustics that it’s used for real weddings—there’s something for every visitor. And if you’re looking for a hit of adrenaline, there’s also abseiling, rock climbing, fossicking and animal viewing available on the property. Tours run very regularly with the option to pre-book, so you won’t miss out if you’re keen. You’re sure to catch some serious gemstone fever when you visit the towns of Rubyvale, Sapphire, Anakie and Willows Gemfields in the Central Queensland Sapphire Gemfields. West of Rockhampton on the Capricorn Highway, the Central Queensland Sapphire Gemfields represents over 900 square kilometres of prime gem fossicking opportunity. 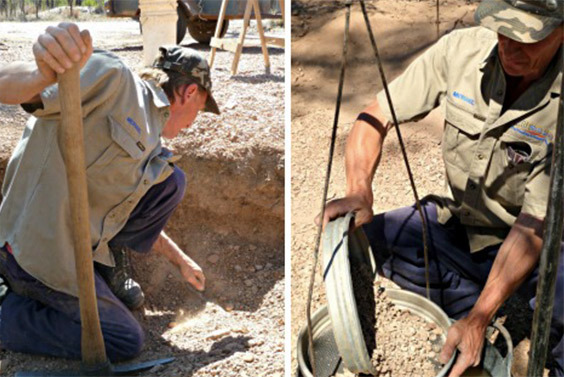 Guided tours are available, where you can explore underground mines or go on a digging adventure; but if you want to make it a romantic event for two, try a self-drive fossicking tour complete with maps and all the necessary equipment. Not your style? You can still check out the gem shops, galleries, jewellers and locally created cottage industries that are abundant in the area. 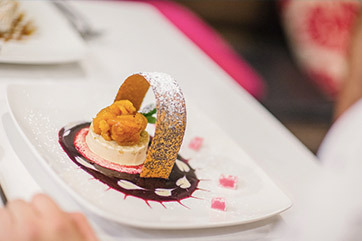 Rockhampton has something for everyone—including the foodies. 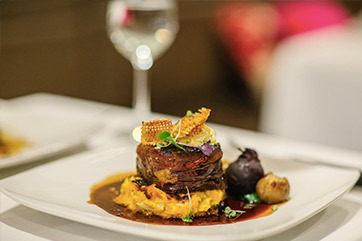 Our award-winning restaurant, Café Bliss (or Bliss By Night), located on the ground floor of CBD Luxury Accommodation, is known for our delectable range of meals and cakes, which are all made onsite from the finest ingredients. We’ve also got the coffee covered: with the newest and best coffee machines on the market, our visitors can enjoy rich, full-bodied barista-made blends, or choose from a noteworthy selection of organic teas. But the ambience of our dining experiences don’t stop after dark. Bliss By Night restaurant’s impressive à la carte menu features an enticing range of tapas, mains and desserts, as well as a comprehensive wine and beer list. We source all our high-quality ingredients from the best local producers, so they can be handcrafted by our talented team of chefs into epicurean delights. When the day’s adventure is over and you’re well fed, retire in luxury Rockhampton accommodation at CBD Luxury Accommodation. With accommodation options from our spacious and feature-rich studio apartments, to the luxurious indulgence of our penthouse apartments, we’ve got the right room for your romantic getaway or corporate stay. Book online anytime and we’ll be happy to make your Rockhampton getaway your best holiday yet.